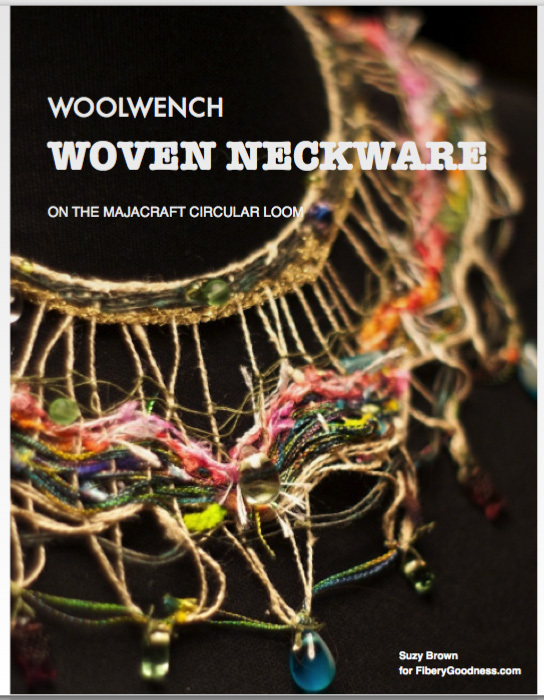 This week I am excited to finally be able to bring you the woven Neckwear Tutorial for use on the Majacraft Circular loom! 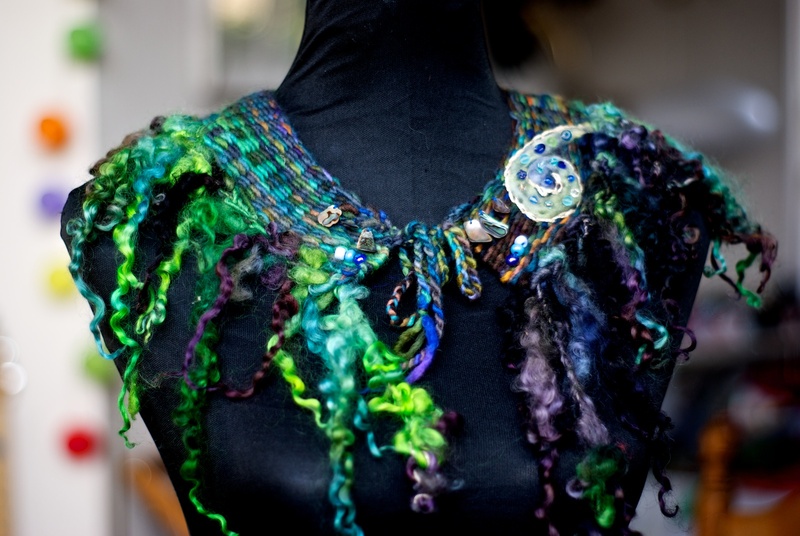 I have been working on this for months, and just shared it with the wonderful participants at the SWAY art yarn guild Festival in Florida, where some really amazing pieces were created using this technique. The secret? Is in the warping! This is a method that was prompted way back when we had just made the very first prototype of this loom at the Majacraft mothership in Tauranga. 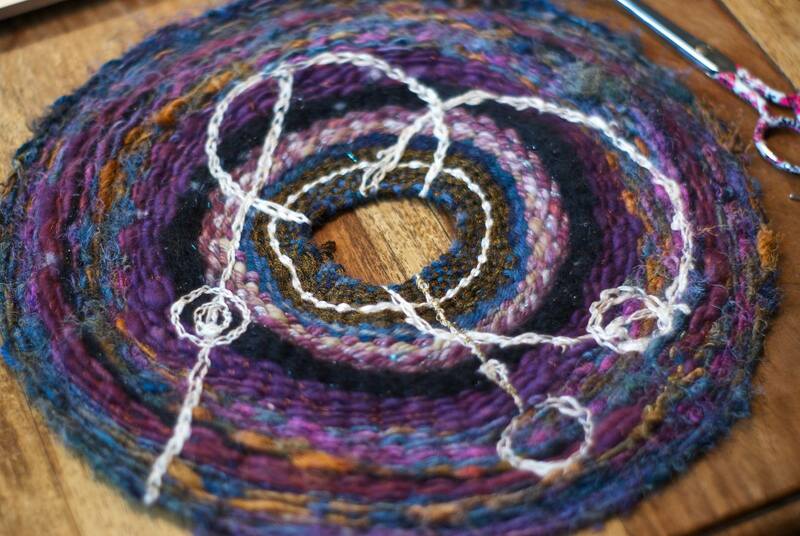 We were sitting on the porch and putting warp on it and Andy suggested making a hole in the middle by using a loop. So of course I had to try this out 🙂 My first one was quite simple, and I embellished it with some Dr Who Gallafreyen text.. I found out that this was a fun way to warp the loom, and I tried a few variations on it until I found the one that I have used in the tutorial, which to me seems the simplest and it also creates some nice weaving possibilities for both thick yarns and finer threads. Making the ‘hole’ in the middle of the circle weave was the key. 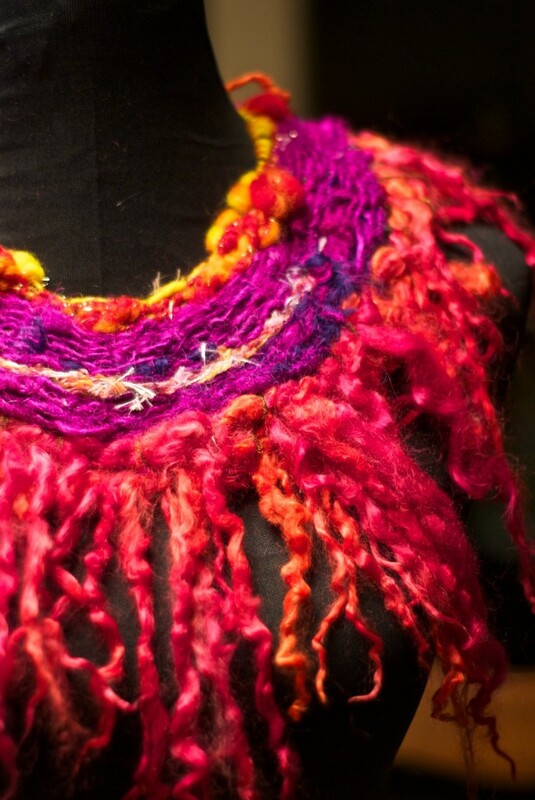 Its just a short hop from there, to making something you can wear around your neck, simply by not continuing to weave around and around but making an opening by turning the weaving and going back in the other direction! These can be made lacey and delicate, with beads, shells, pearls..
Or they can be made thicker and more wooly and warm for a really bold statement! I am really really excited about being finally able to make the tutorial available! I had been saving it as a special treat for the SWAY weekend participants, with the plan for releasing it here on by website at the same time. I cant wait to see what people start making with this pattern, and yes it IS a pattern, but it is one that leaves it very open for you to make what you will of it, your choice of materials, your embellishments, the kind of edging you make on it, please feel free to add or change anything you like to make this work in whatever unique and ‘you’ ways you can find. In the tutorial I have included sections on design, warping, weaving, and embellishments, all suggestions and creative starting points rather than something to be followed exactly. I think this is an idea that together we can all grow and develop and I really hope you will share your creations and discoveries with me and others! Please feel free to post to my Facebook page or come and join the Majacraft Circle Loomers group on Ravelry too! . This was a group started by Deepurple as a place to share ideas and loom chat, I think its very cool. 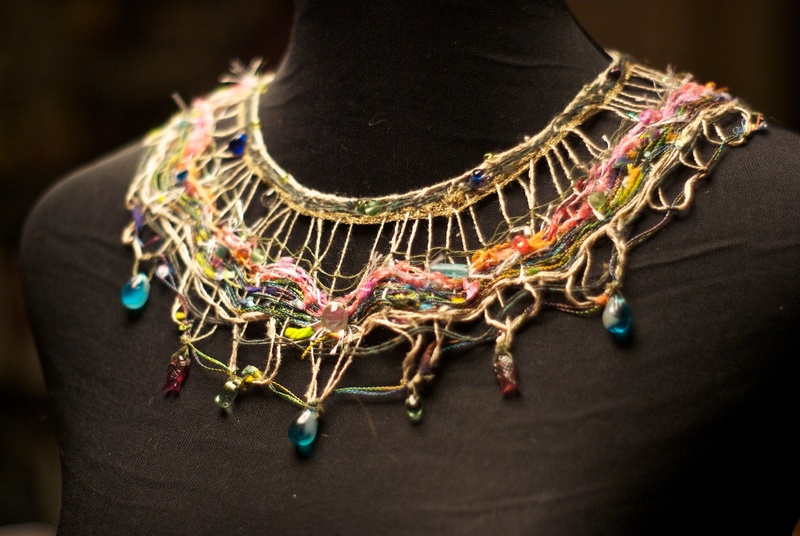 I hope you enjoy the tutorial, and I am looking forward to seeing and sharing in your neckwear weaving creations! Thank you for the tutorial. I’m about to try your warping method. As you know I’m a newbie to the circular loom and I’m always excited about learning new things. I love this, where would you get a loom? Thanks Terry! You can order a loom from any Majacraft Dealer, even if you don’t see it listed on their website yet, just ask for it and they can order for you. Go to http://www.majacraft.co.nz and you can find a list of dealers to find your closest one. I am sure you will have a lot of fun with it! Suzy your generosity is overwhelming! So happy to have met you my Goddess friend!! Hugs! Hope you are enjoying being home and carry fond memories of all of the friends you have here in the USA! Marti it was so wonderful to meet you at Pam’s and spend some time together, you are a treasured friend 🙂 I will see you again next time I am in the States, and I am looking forward to that already! Thank u loving the circular looms and will be returning from Maui in a few days w many ideas …..
Wow! Thanks! This is so appreciated! You rock! Yay!